Jailbreak works fine 🙂 iPad2 iOS 8.1.2… Thank you !!!! 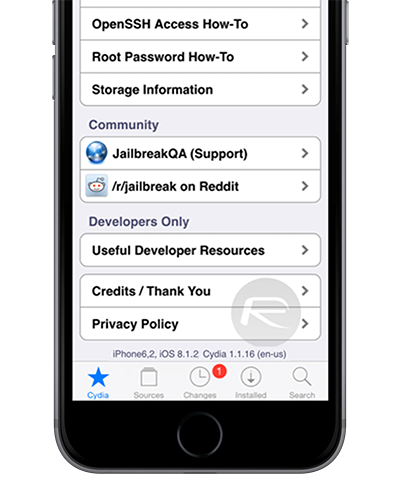 Question, Say I do jailbreak and I don’t like it, how do I un-jailbreak? since ur device is jailbroken, you have to do a fresh restore (restore using iTunes). you can’t update through the air. and u can just jailbreak it again. appreciate if there is a free unlock? OTA = Over The Air, like downloading directly from your iPhone or Ipod not from itunes. I solved %30 stuck problem. It is an error called 1004. You need to change the computer. In my case I simply switched to a different USB port. The new port was 3.0. That solved my problem instantly. The first time this happened I clicked the home button quite quickly and every app on my device disappeared. Tried again and left it half an hour and only my Main apps disappear. I then have to fully restore my iPad to factory settings cos even when I restore my backup apps are missing. If anyone has worked out a fix for this or knows how to avoid this happening please let me know. I cannot switch off find my iphone. Will it still work on my iphone 5 ? cant find apple driver please install itunes. i have the newest version of itunes v12.1 64bit installed. i have tried two different pc’s now same thing on both, might try a slightly older version of itunes. bingo i uninstalled itunes v12.1 installed version 11.4 deleted ituneslibrary.itl then tried and it worked first time. maybe taig just dosnt like the newest 64bit version of itunes or something. I have the iPhone 6 on 8.1.2 and everytime I try, it stops at 30% and sits there for atleast an hour, but then never finishes. Am I doing something wrong? I backed up, and am installing a fresh install of 8.1.2. Do I run the JB before I restore my back up or after? Sooo… I managed to jailbreak my iPad 2 last night, but cydia didn’t work. When i restored it, the App Store was nowhere to be seen and TaiG’s green button of happiness doesn’t work. Suggestions? i got that same problem. Did you add the sources? Yes, but it’s still the same…. How? What ituneslibary.til? Where can i find it to delete it too? uninstall iTunes. Search google for older versions of iTunes v11.4. After installing my computer wouldn’t run it saying that ituneslibrary.itl was for a different version so I found it in my music/iTunes folder and deleted it. Then iTunes worked and the taig jailbreak worked too. I was getting the same error, then i removed v12.1. Installed iTunes v11.4, and jailbreak stopped erroring and worked. same problem with the new itunes 12.1. i have uninstall this version and new install 12.01.26 and Works nice. 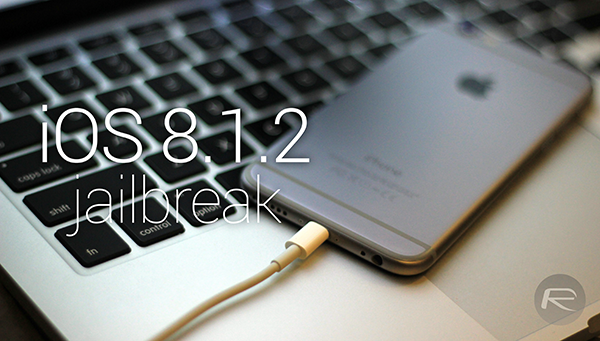 ios 8.1.2 signation Works to. can someone link me to an itunes download thats lower than 12.1 please?? 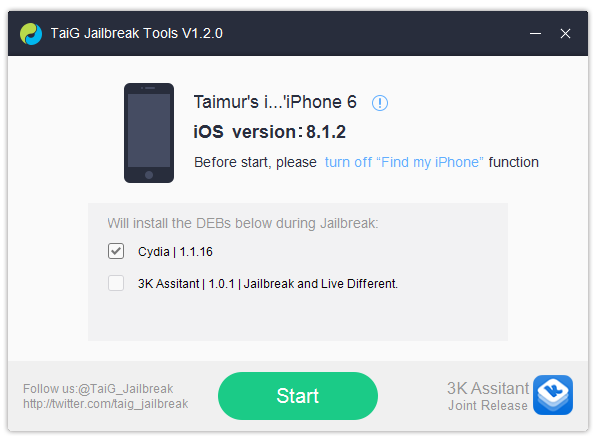 go to the folder where the itunes library is and then copy the items which shows library and paste it to the desktop then open taig and jailbreak and have fun!!!!!!!!!!!!! If i install new updates, does it locks my iphone??? ?do i have 2 unlock again? ?